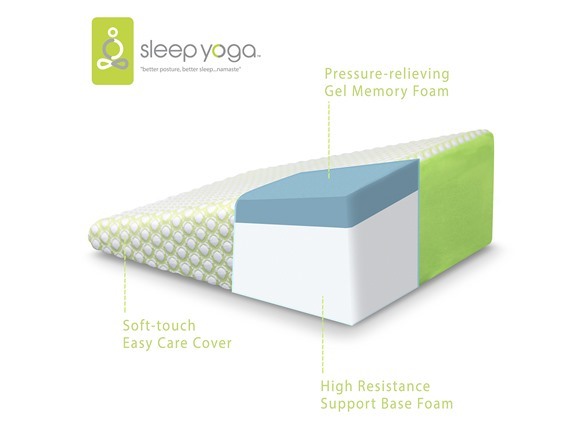 Sleep Yoga Wedge pillow - elevated sleep for acid reflux, sleep apnea and orthopedic back pain relief, reduce snoring, heartburn, sinus congestion; 10 inch memory foam medium firm with bamboo cover? 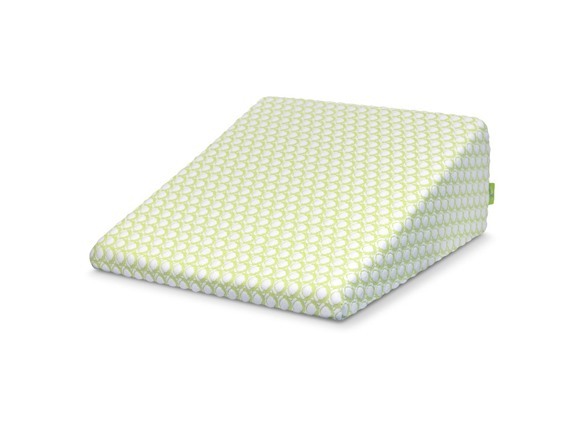 The Wedge Pillow may relieve acid reflux by supporting and elevating your upper body. ELEVATED DESIGN KEEPS YOUR AIRWAYS OPEN – helping you breathe and fall sleep through the night which can reduce breathing and snoring issues. BETTER SLEEP POSITION - Designed to promote a better sleep position. 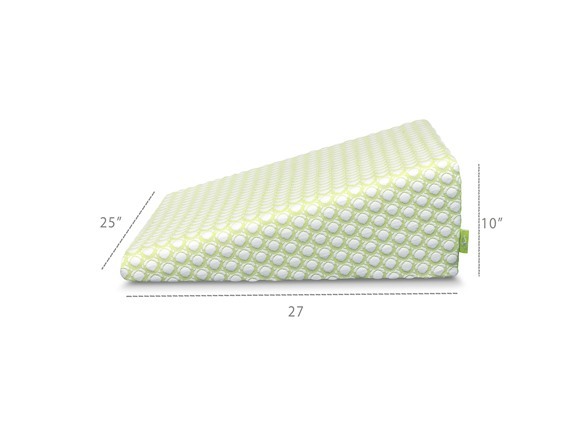 By improving your body posture and supporting your upper back and shoulders, this bed wedge cushion may relieve you of pressure points and back and neck pain. 10” LOFT AND OVERSIZED - to maximize comfort and fit your body's shape as best as possible, constructed with high-density memory foam offering you medium firm support for a comfortable restful experience. 27x25 in. 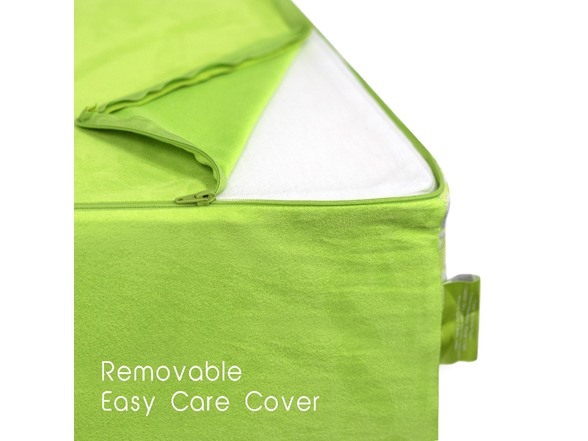 EASY CARE - In addition to its comfortable memory foam layer, the bed wedge pillow comes with a soft and breathable bamboo viscose rayon blend cover; easily removable and machine washable. 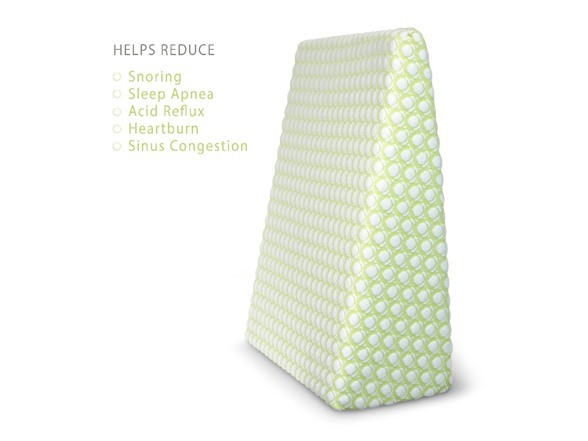 The Wedge Pillow may relieve acid reflux by supporting and elevating your upper body. Helping you breathe and fall sleep through the night which can reduce breathing and snoring issues. Designed to promote a better sleep position. 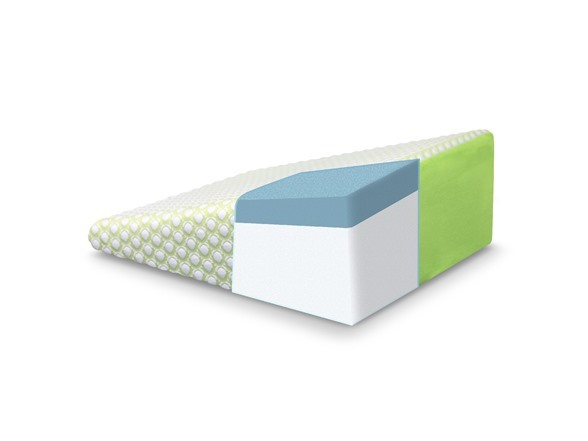 By improving your body posture and supporting your upper back and shoulders, this bed wedge cushion may relieve you of pressure points and back and neck pain. To maximize comfort and fit your body's shape as best as possible, constructed with high-density memory foam offering you medium firm support for a comfortable restful experience. 27x25 in.